SIP Challenge 42 – Colors! 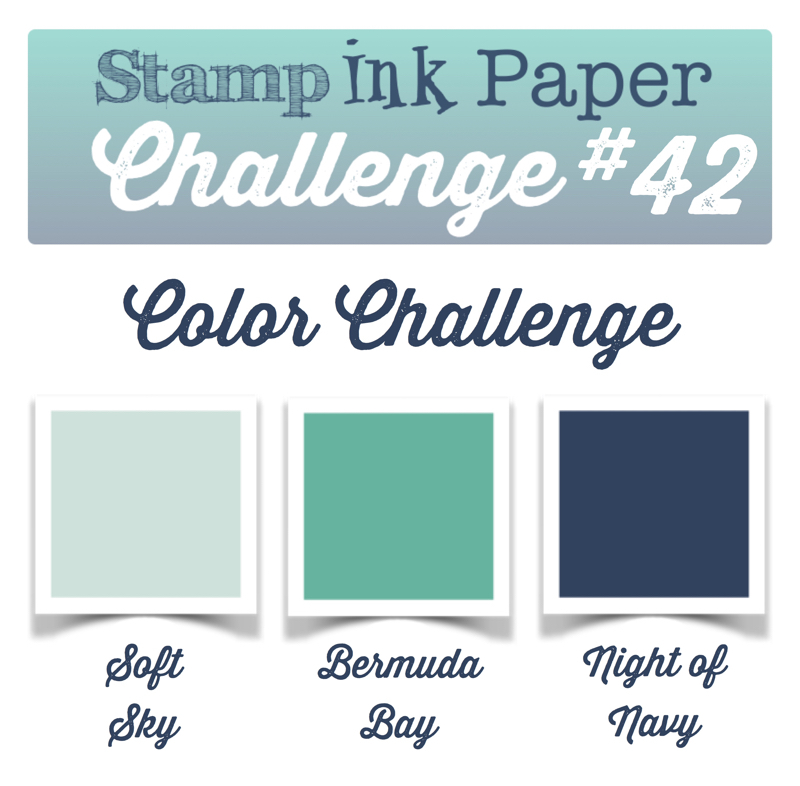 Home / 2015-2016 Annual Catalog / SIP Challenge 42 – Colors! Well, it was a good day to stay inside! It rained all day and last night it was freezing! Spring… right?! Not here! I stayed inside most of the day. I FaceTimed with Andrea and crafted a little in the morning. Taylor and Kiera stopped by with Chipotle and ate lunch here. Danielle stopped by after work for a little while so we could catch up a bit, she’ll be back today, there was way too much to talk about! Today I have a little more crafting to get done and later I’m going to take a ride over to Scrap-A-Latte and see Renee. Hope fully it will be a bit warmer here! 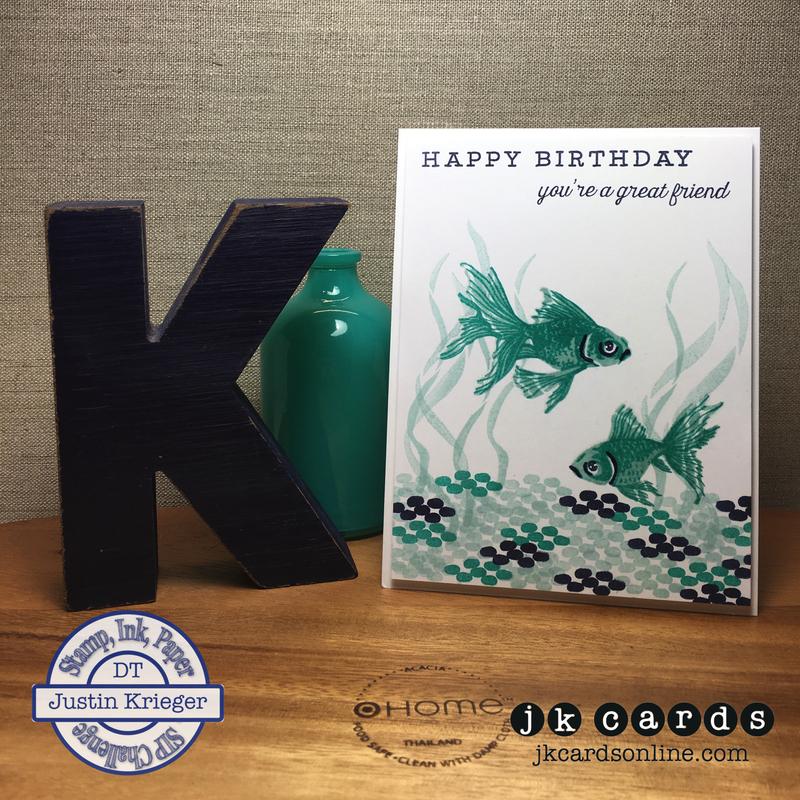 This entry was posted in 2015-2016 Annual Catalog, Blog, Cards, Crafts, Embossing, Hero Arts, Photopolymer, Stamps and tagged Birthday, Card Making, Crafts, Hero Arts, SIP Challenge, Stampin' Up!. Bookmark the permalink. Those fish are AMAZING! Love these colors, can’t wait to play! I love the fish in the challenge colors and the stones. You did an awesome job. It’s sunny but cold here today. Spring keeps teasing us with a couple of warm days and then we go back to colder temps. Oh well, what can we do? Like Nancy, we have to enjoy each day no matter the weather. Of course, you are the king of cramming as many fun things into one day as possible. Have a good one! What a gorgeous card!! Love the colors and all the creativity! Another stamp set I must own. Oh my Justin – this card is magnificent! I love the way you got the seaweed behind these amazingly beautiful fish. I never thought I would want a fish stamp but boy, I sure want this one now. You did an amazing job with this color combo and that stamp set. I am soooooooooooo impressed. Thank you Grace! I took your advice and did the fish in blues and I love them! It really is a great set! So detailed!! Thank-you for showing me how to use that little “dotty” stamp! And your fish look dreamy in Bermuda Bay! Well done, you! This is great! I do love the fish in blue, I love the “effect” of the seaweed. OMG I LOVE!!!! the Mini Misti, I honestly swore I would not purchase it becaue I have the original and it was expensive. I caved, and I’m so glad I did. Fits nicely on my desk and so nice to work with. Thanks so much Linda! I had fun putting the card together! Yes! I’m loving my Mini MISTI too!! LOVE, LOVE, LOVE this card!! The goldfish look fabulous in these colors. Love the seaweed and the stones as well. 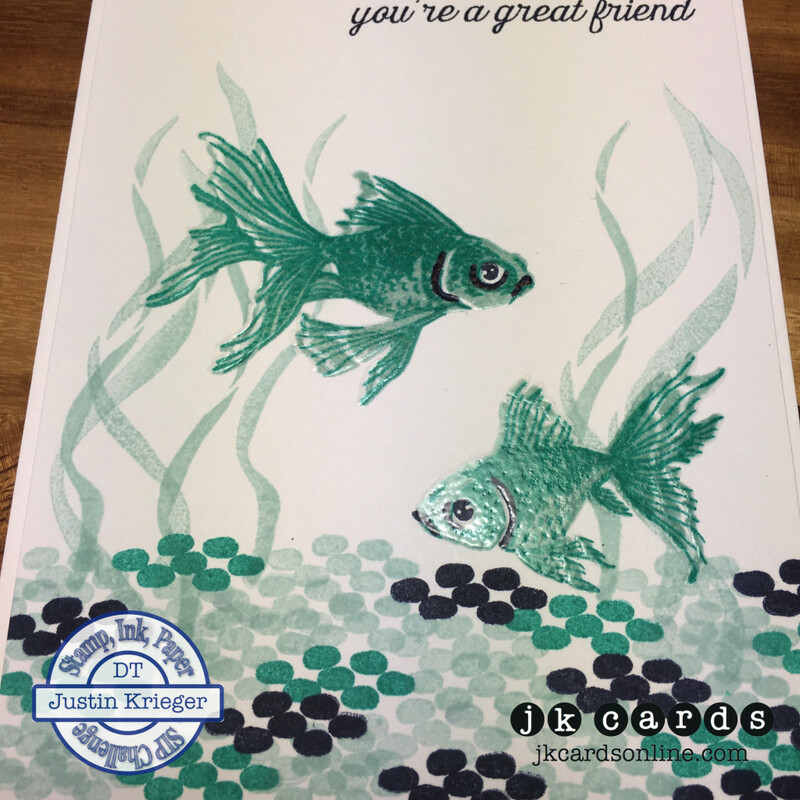 fabulous Card, the fishes are fantastic!